Around the Pacific Rim nations remember VJ (Victory in Japan) Day, 14th August, 1945, when Japan surrendered to Allied Forces. 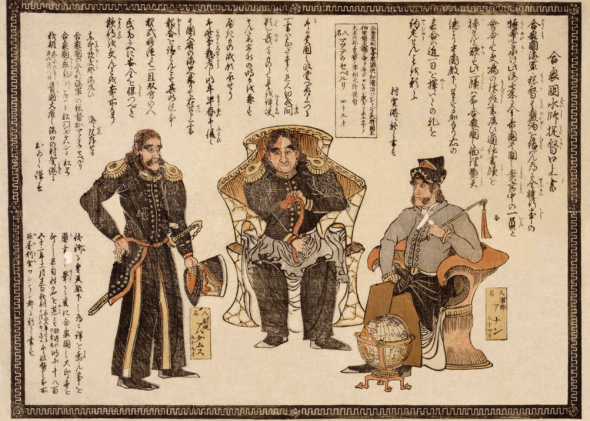 The antagonism to the United States and other Western Powers originated in the 1850s when Commodore Perry of the US navy forced Japan to sign trade treaties. This destroyed Japanese self respect and generated a deep resentment. The Japanese government was also terrified the nation would suffer the same humiliation as China that flowed from Western aggression, the Opium Wars and the annexation of Hong Kong. After the Russians drove the Japanese out of Siberia in 1918, the ruling elite turned eyes towards South East Asia for rubber, oil, iron and other minerals well before the start of WW2. It was an aggressive expansive nationalism fuelled by the realisation that without an Empire (like Western democracies) it could never become a world power. By the 1920s, Japan was in a desperate economic situation with the population on the verge of revolt. The Great Depression of the early 1930s hit Japan hard as the vast silk trade with the United States collapsed. Japanese leaders considered the way to resolve economic problems was to acquire South East Asian colonies similar to Western European empires. The Emperor Hirohito was rendered impotent by his sabre rattling military. During this period Japan invaded Manchuria, Mongolia and Korea to secure raw materials. The League of Nations expostulated and Japan withdrew its membership. In 193, the United States restricted the supply of oil and metals which drove Japan to contemplate the energy supplies of Indonesia. In194, the United Stated imposed a total oil embargo on Japan – a desperate situation.Thus Japan attacked Pearl Harbour in 1942. Japan’s fatal mistake was the failure to destroy the Naval Base and sink the remaining three aircraft carriers. The rest is history. Aboriginal Constitutional Recognition The Government has rubbed iodine into festering news by the decision not to financially support Aboriginal gatherings to discuss an amendment to the Australian constitution. The given reason is that there is no wish to see discussions degenerate to a ‘log of claims’. This opinion is an insult to the Aboriginal leadership and denigrates the tenor of anticipated discussion. The Government now appears to be softening and Aboriginal forums may be facilitated. It is still the Government’s objective to closely manage the deliberations by bringing the two principal relevant ethnic strands to the same table for a disinterested exchange of ideas. For legal precision, the term ‘Aboriginal’ requires clarification. A word on definitions relevant to settlement in new lands: **custodian – a person who has responsibility for taking care of or protecting something **occupier – a person residing on or using property as if the owner **inhabitant – a person who lives in or occupies a place. In any migration, a person will become an inhabitant and subsequently will become an occupier and possibly a custodian. For the purpose of legal clarity, any addition to the Constitution should recognise Aborigines as the first ‘inhabitants of the land’ now known as Australia. In 2014 on ABC News, Celeste Liddle, National Tertiary Education Union, opined Australia is clearly not ready to vote for constitutional change and the electorate was clearly against the terms ‘sovereignty’ and ‘treaty’, both potential mine fields. To place this constitutional discussion in perspective, Australia is compared with other Anglo-Saxon immigrant nations with minority indigenous populations (as %): Australia 2.5%, Canada 3.5%, United States 1.6% and New Zealand 18%. America has over 300 treaties with Indian tribal groups and New Zealand is quite different from Canada and Australia. Canada recognises the rights of first peoples in the constitution and has negotiated treaties with aboriginal groups that provide for dwelling rights, hunting and food production (but only on a scale prior to European settlement). However, rights are not absolute under Canadian law. The Government has retained the right to enter treaty lands, following consultation, for the purpose of economic development, power generation and environmental protection. In small areas, where local self-government has been granted, this has become a knotty problem. (Aboriginal Rights, Canadian Encyclopaedia, Bell and Henderson, 2015). 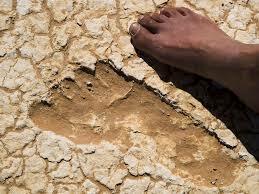 There are elements in the Australian Aboriginal community that favour a treaty as well as constitutional change. It is important that recognition be given that Aborigines were the first inhabitants of Australia, but to enhance the cause beyond that of other ethnic groups in the nation to have the potential to cause community tension. The Expert Panel on Constitutional Recognition of Aboriginal and Torres Strait Island People (2012) has recommended that the Constitution be amended as follows: —-Remove Sect. 25. Banning of voting on racial grounds. —-Remove Sect. 25xxvi. Ban racial discrimination laws. —-Add Sect. 116A. Ban race discrimination. —-Add Sect. 127A. Recognise the first Aboriginal languages. (The implication of this Section must be carefully considered. If the ‘first inhabitants ‘are recognised, then ipso facto, the language is also recognised). The stated benefits, according to the Committee to a Constitution change, would be a redress of a previous exclusion, increasing feeling of self worth and trust would be encouraged between communities. The context of future discussions would change for the better. In this latter point,the term “discussion” requires definition. Shares versus Bonds – a Red Alert –For those in employment and for those at the rear end of the gravy train, humanity has lived through an extraordinary epoch. For the past thirty years, leaving aside the Chinese phenomenon, there has been an imperceptible decline in economic activity in the Capitalistic West, which has lead to an irregular decline in interest rates and a slow exodus in equities. Concurrently, there has been a steady increase in bond market activity that has enabled Western governments to fund their obligations as income tax receipts decrease. Currently, interests rates are the lowest on record, which has facilitated in a three decade long bond rally. 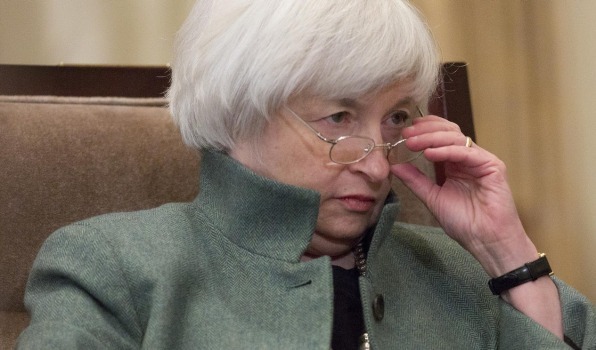 Janet Yellen, Chair of the Federal Reserve, has warned that interest rates could rise in 2015 with the caveat that economic activity must improve. Any increase will cause angst in the bond markets. Perusal of interest rates proves the Industrial West is suffering a decline in economic activity. During this period capital has moved into the bond markets at the expense of equities. Currently, bond markets are overvalued, particularly with an interest rate rise in the offing. Bond prices are much higher than they have been for many years: yields are low but are still ahead of Government rates. (See table). Few people remember the bond markets in the ’70s and ’90s when large financial losses were incurred. There is an approaching ‘crunch’ as the Fed considers a rise in interest rates driven by an indication that American economic activity is improving. For distressed Australian investors, there will be a double whammy for those holding bonds and property when interest rates rise. Bonds will fall in value, interest rates on bank loans will rise and equity in property will fall as the real estate bubble deflates. Based on the above,he Government catch-cry should not only be jobs-jobs-jobs but exports-exports-exports. The Hurricane of Climate Change The National Oceanic and Atmospheric Administration (NOAA) has announced global temperatures for July were the hottest on record. To put this in perspective, below are the Intergovernmental Panel for Climate Control (IPCC) carbon dioxide and temperature limits necessary to prevent a global climate catastrophe. 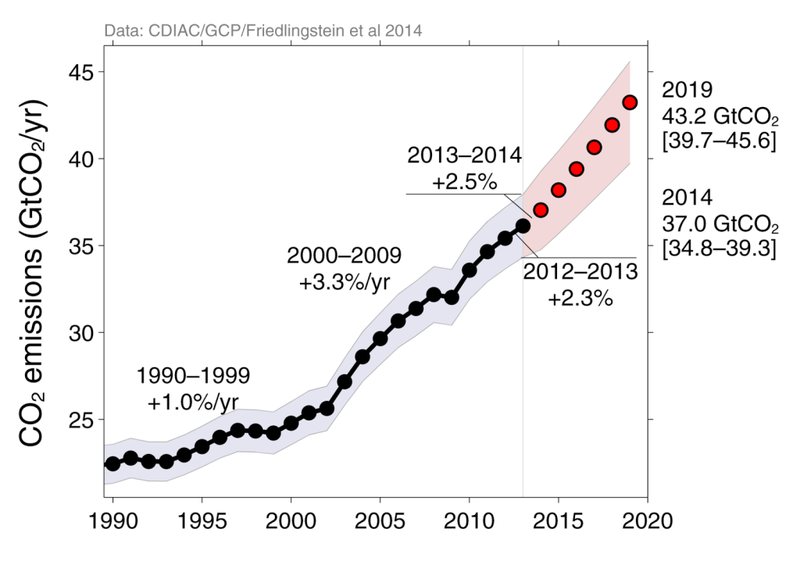 A leading climate scientist, Dr Mann (NOAA), opined in Scientific American (March 2014) that the critical 2*C could be reached by the mid 2030s, based on current fossil fuel consumption. The critical issue is carbon dioxide emissions. If temperature is to remain below 2*C above pre-industrial levels, then it is estimated green house gas emissions will have to be reduced by 80-90% by 2050. (J Morgan, Director, World Resources Institute) This will require a seismic shift in the rate of increase in the use of non- renewable energy. The critical 2*C was originally proposed by Dr. Nordhaus (Yale University) in the mid-1970s as an accommodation between science and political reality. A paper published by the German Institute for International and Security Affairs, considers the Climate Change Meeting in Paris in December 2015 will be unable to keep temperatures below the 2*C level. 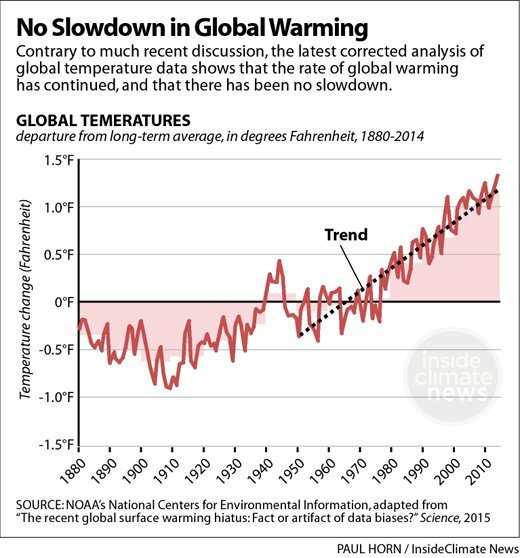 The period 1998-2012 did not signify a hiatus in global warming – it was the oceans operating as a heat sink. 1— 2006. A Stern Commission quote “It was obvious that 2*C was far beyond any danger limit definition”. 3— 2014. IPCC 5th Assessment quote “2*C is intolerably dangerous due to projected multiple disastrous to catastrophic impacts on human populations”. Considering the foregoing, the current global disruptive weather events can only intensify since carbon dioxide levels exceed 400 ppm and global temperature is pushing towards the critical 1*C and rising. On Sunday, 23rd August, the Upper Hunter region was hit by the most violent storm cell recorded in the region since 1948. On the farm, 52 mm of rain fell in a couple of hours followed by a devastating hail storm with hail stones the size of tennis balls. Such was the intensity in the district, that solar panels and roof tiles were smashed and a young calf suffered a broken back. On my property, the hail fractured a water pipe and over 20,000 litres of potable water was lost. The storm surge in the creek threw the solar pump two meters up the river bank. This was the severest storm since my arrival fifteen years ago. This storm originated in the Indian Ocean. It created wide spread rain and hail in central New South Wales, a cyclonic storm cell in the Central West and floods along the South Coast hinterland.